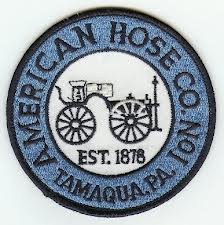 02/04 0516: Tamaqua Fire Department, RIT assignment 457 Lake Drive Nesquehoning, Lake Hauto. Station 1 responding with E6510, crew of six. Update from county, working fire, new address is going to be Club Drive, just off of Lake Drive, 25-03 in command. Engine arrived on scene, staged on Lake Drive, manpower with air packs needed to the front of the structure Station 4 with S6564 arriving on scene, assuming RIT. T25-30 with lines in service requesting supply line from E6510. Crew on scene for nearly 2 hours, released by Carbon. One patient transported to St Luke’s Miners.